The worn and weathered face of a bearded fisherman known as Hans Nielsen Lahkso has been the face of Caldwell’s (arguably) most popular cigar since their launch in 2014. But this fictional, early-20th-century sailor is no longer alone! That’s right, the Eastern Standard line is now three cigars strong - taking on new additions such as Midnight Express and Dos Firmas. But where Midnight Express goes dark, Dos Firmas heads in the opposite direction… This new project from Caldwell Cigar Co. features a special Connecticut Shade wrapper over a top secret, signature blend. Which is where the line receives its name - Dos Firmas - which translates to “two firms” or “two signatures”. 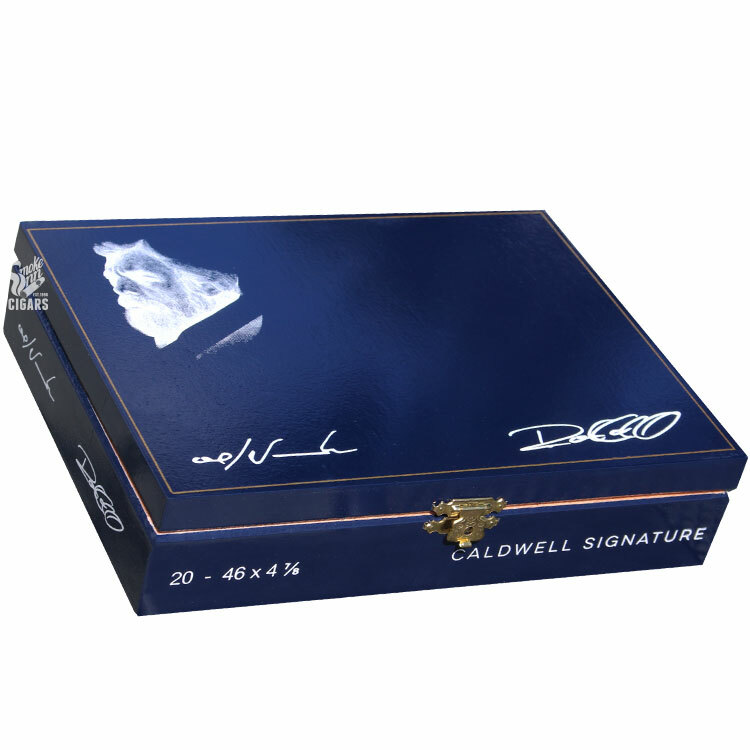 Indeed, on the cigar’s refined packaging, you will find the scribbled signatures of Caldwell proprietor Robert Caldwell and Tabacalera William Ventura owner William Ventura. Why the signatures? Because this special blend has been a personal blend of Ventura’s for over twenty years. Ventura, who produces nearly the entire lineup of Caldwell at his factory in the Dominican Republic, gave Caldwell the blessing to incorporate his “signature” blend into the burgeoning Caldwell Cigars brand. These special cigars take on a more weathered look from the Eastern Standard band, showcasing two signatures as an added sub-band. And as a special bonus, Dos Firmas includes the mythical culebra vitola - a Cuban size using three cigars twisted together to form one (intended to be smoked separately). A truly refined, sophisticated, and ultimately complex smoking experience that no connoisseur should be without!